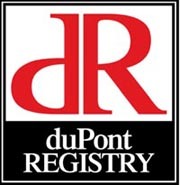 Lang Realty is proud to partner with duPont Registry™ and its ability to provide the premier luxury community for the affluent lifestyle with a registry of the most recent listings and upgrades. Synonymous with providing a panorama of lavish and luxury items for sale and for providing a “luxury marketplace,” duPont Registry™ has remained the leading publication for high-end marketing for the past twenty years. Lang Realty’s listings within the monthly publication feature titles for elite real estate properties. For more than 35 years, Unique Homes has been the premier magazine for luxury real estate, unlocking doors to the most spectacular estates and houses for sale in the world - European castles, oceanfront contemporaries, world-class resort properties, luxurious hideaways, high-end communities and much more. In presenting exceptional homes and other Lang Realty listings to an international audience of affluent individuals, our luxury professionals have been brought together with high-end home buyers and sellers, resulting in billions of dollars in luxury home sales from around the world. With the use of the brand new REALTOR.com®, Lang Realty agents have the power to customize the site to maximize our brand, productivity, and most importantly exposure for our clients' listings. REALTOR.com® has been ranked as the number one homes-for-sale site, and currently offers potential home buyers more than 2 million homes for sale, and puts buyers directly in touch with brokers and agents alike. Specifically published for the discriminating buyer of luxury homes and estates in Florida, Luxury Florida Homes Magazine provides Lang Realty with the ability to capture elite buyers who have shown interest in relocating to Florida. Through the publication, Lang is able to position each upscale home and property listing, catering to selective and cultivated buyers.